Our bright airy & spacious apartment offers everything you need for a family holiday or golfing break. Accommodating up to 6 guests. Enjoy a cool drink on our large covered terrace at Murcia-Golf, overlooking the beautiful communal fenced pool area - ideal for little ones & adults alike! Palms, shrubs & small trees in the landscaped gardens provide ample shade & privacy when enjoying your 'al fresco' meals or tapas on the secure 1st floor terrace that is south easterly facing. As well as the fenced pools, a Jacuzzi, children’s play area & quiet gardens are your view from the terrace. 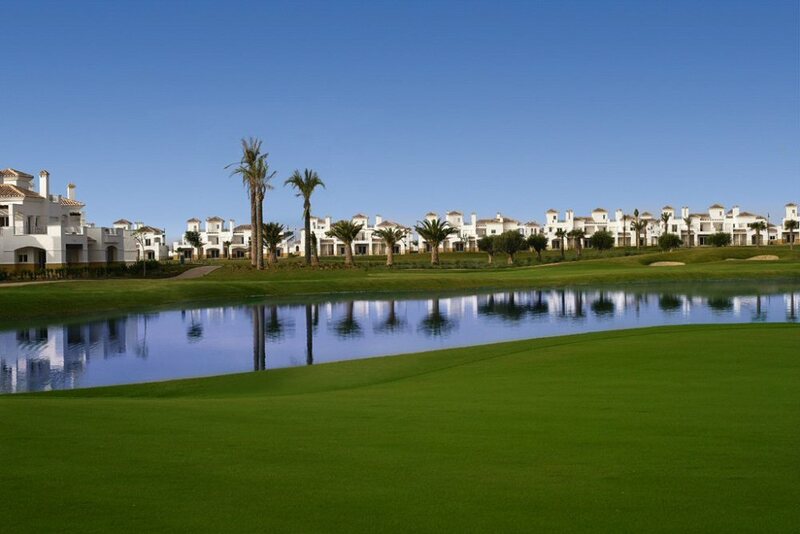 On La Torre Golf Resort you can also visit any of the 16 communal pool areas to enhance your Spanish holiday. 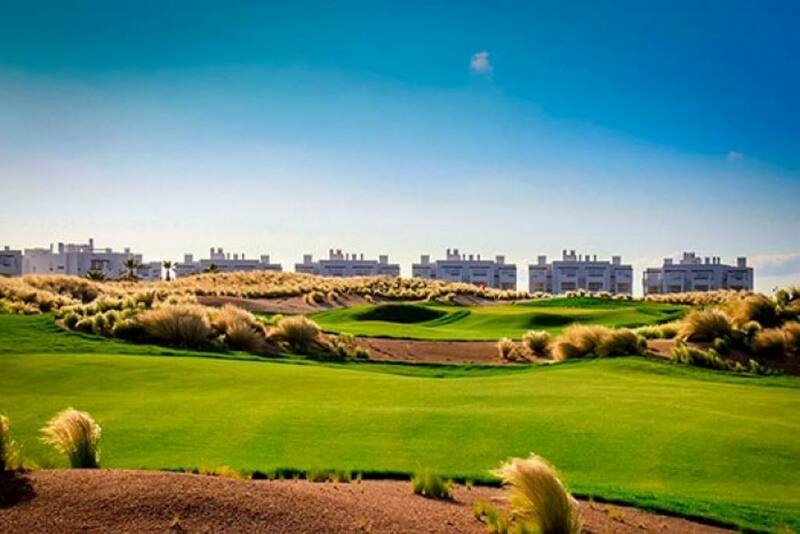 The Golf Clubhouse is a stroll away from the apartment with direct access to the 18 hole par 69 course. 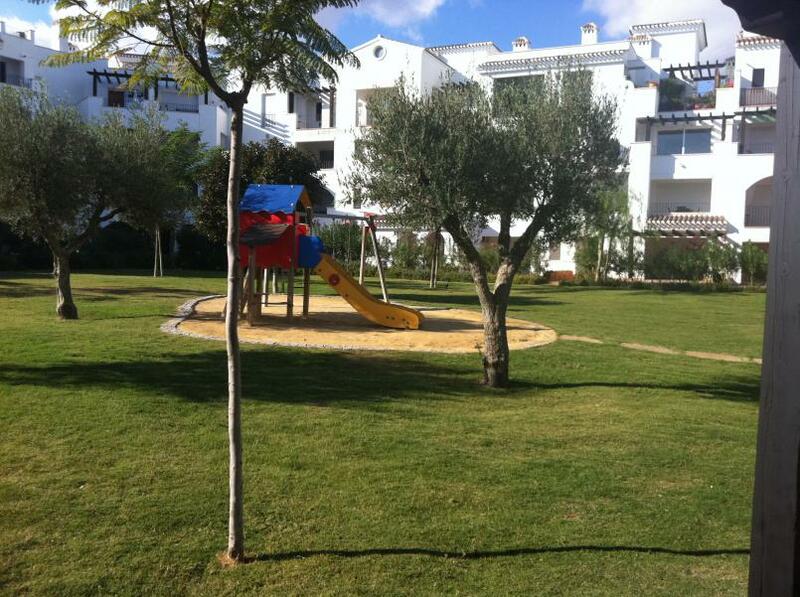 The resort town centre & the supermarket are also a short stroll from the apartment. Inside your spacious airy 2 bedroom holiday accomodation you will find the tastefully furnished lounge & dining area leads to the covered outdoor dining terrace, overlooking the beautiful fenced pool complex & children’s play area, ideal for drinks on the balcony while the little ones play below! Electric shutters on the massive patio doors provide coolness & security for the apartment & cooling ceiling fans, air conditioning (in lounge/diner & both bedrooms) & central heating give added comfort. The pools below the apartment are easily accessed via the rear outer door in the lobby below. For your safety the apartment has a gas safety certificate* & a fitted carbon monoxide detector, to give complete peace of mind for your family. Our rates are based on 4 guests but should your family be a little larger, the lounge sofa bed can offer further sleeping facilities for 2 children & due to the extra linen requirements, we make a small additional charge for this provision, so please advise us when booking, of your total number of guests. The bedrooms each offer 2 single beds (which can be zipped to provide doubles), fitted wardrobes & bedside tables with reading lamps and hand mirrors in each bedroom for personal grooming. A hairdryer is also provided for your stay. 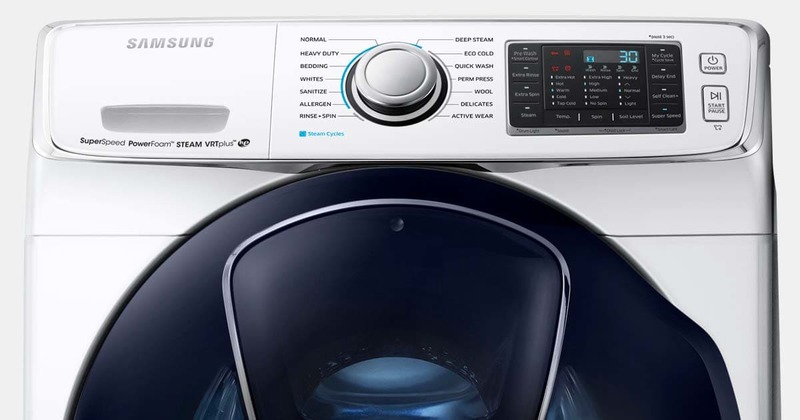 The modern bathroom provides over bath shower with glass screen, mirrored vanity unit & bidet. A hairdryer is also provided for your stay. 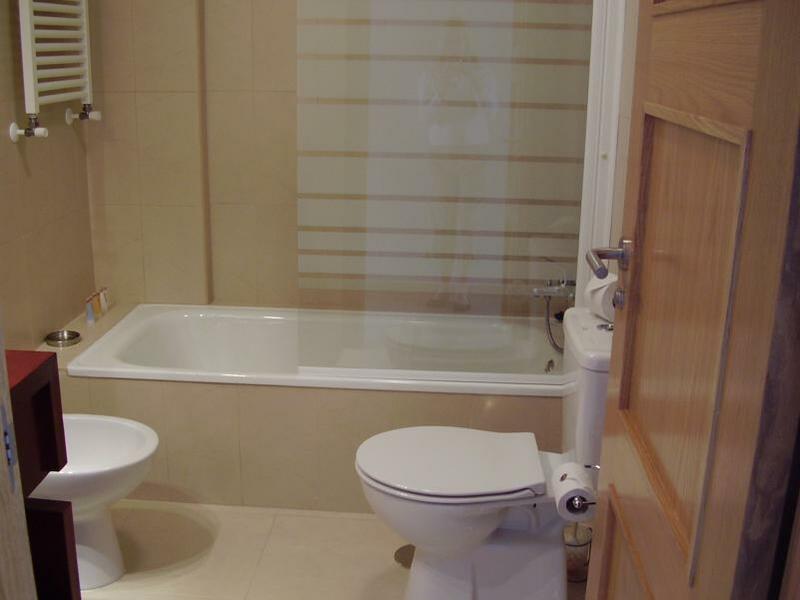 The modern bathroom provides over bath shower with glass screen, mirrored vanity unit & bidet. 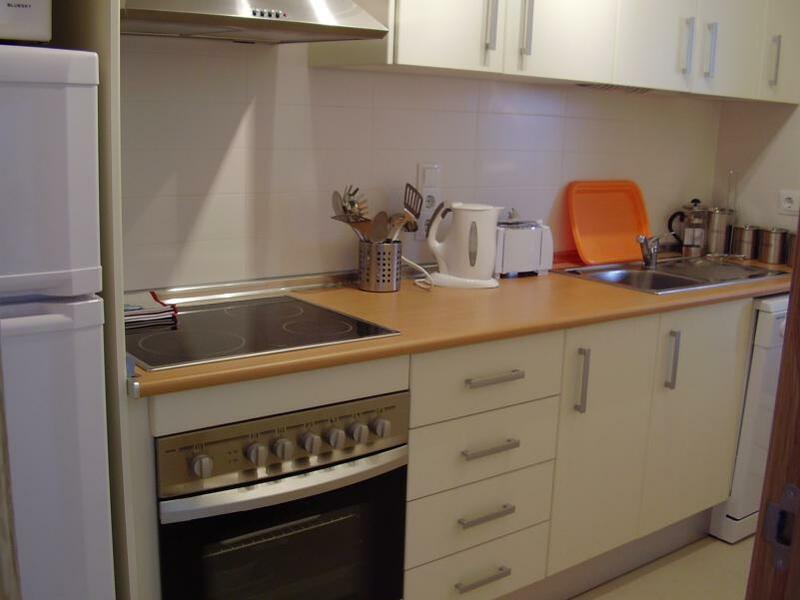 We offer a fully stocked kitchen with dishwasher, for those ‘stay at home’ evenings in between experiencing the dining opportunities on site, or within a 5 minute drive to local towns of Roldán or Balsicas in the Murcia region. Inside your spacious airy 2 bedroom holiday accomodation you will find the tastefully furnished lounge & dining area that leads to the covered outdoor dining terrace, overlooking the beautiful fenced pool complex & children’s play area, ideal for drinks on the balcony while the little ones play below! Electric shutters on the massive patio doors provide coolness & security for the apartment & cooling ceiling fans, air conditioning (in lounge/diner & both bedrooms) & central heating give added comfort. Enjoy a cool drink on our large covered terrace, overlooking the beautiful communal fenced pool area - ideal for the little ones & adults alike! Palms, shrubs & small trees in the landscaped gardens provide ample shade & privacy when enjoying your 'al fresco' meals or tapas. As well as the fenced pools, a Jacuzzi, children’s play area & quiet gardens are your view from the terrace. 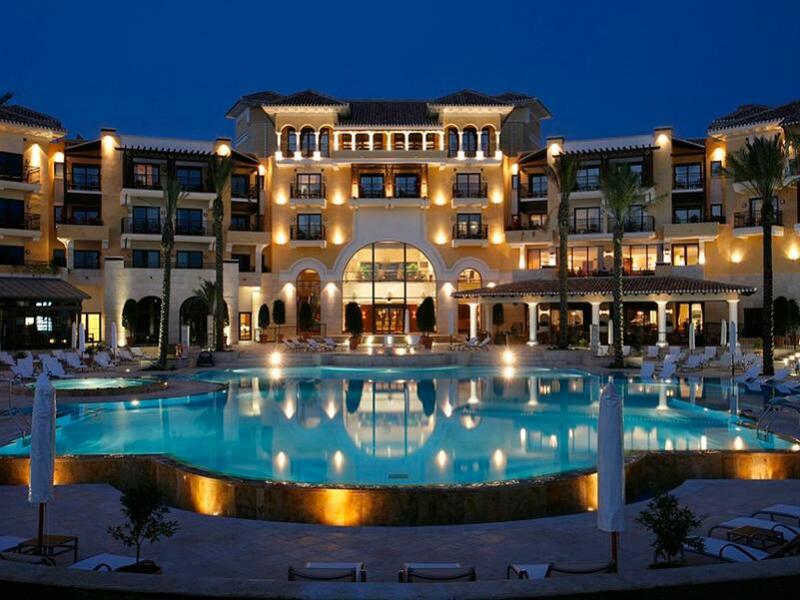 On La Torre Golf Resort you can also visit any of the 16 communal pool areas to enhance your Spanish holiday. For families with little ones, your apartment comes with travel cot, high chair, buggy stroller & potty - we have some plastic beakers bowls & cups & socket protectors/night lights too! Modern & stylish furnishings including 40" flat screen television providing more than 15 English as well as many other European channels, dish washer, microwave & washing machine & iron, internal full dining facilities for 6 people as well as a further 6 dining places out on the terrace. There is also free Wi-fi in the apartment & a DVD & CD player & radio so please bring any of your favourite films or tunes to compliment those we provide! We also have an iphone/ipod docking station to play your own playlists. We have a Play Station 2 with a selection of games and books and also a selection of board games & cards for your use. 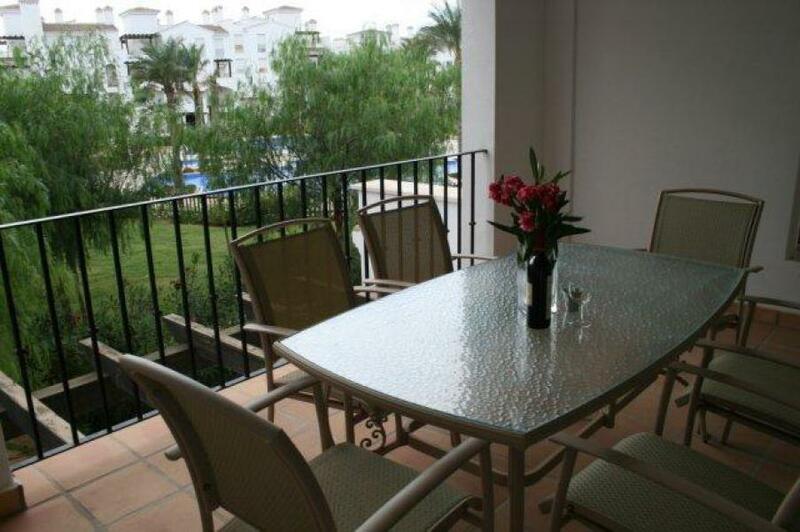 A small barbecue is available on the terrace & table tennis bats & balls for use on the outside table tennis equipment. To minimise your luggage requirements we provide full bed linen & bath & hand towel for each guest & also beach towels. For around the pool we provide 2 portable sun loungers & for those trips to the beach we have a cool box with ice packs & a parasol. 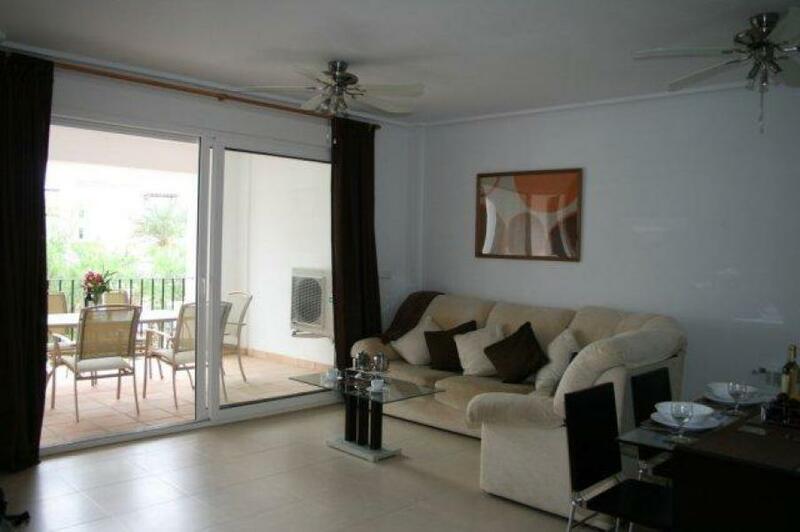 Close to bars, restaurants, a supermarket as well as 2 tennis courts, and more! Our charges for the vacation rental are based on 4 guests but should your family be a little larger, the lounge sofa bed can offer further sleeping facilities for 2 children & due to the extra linen requirements, we make a small additional charge for this provision, so please advise us when booking, of your total number of guests. Your first floor secure apartment is fully serviced by a communal lift from the secure basement garage parking area which ensures your car is safe & cool for your travels. There is also ample street parking outside the apartment. 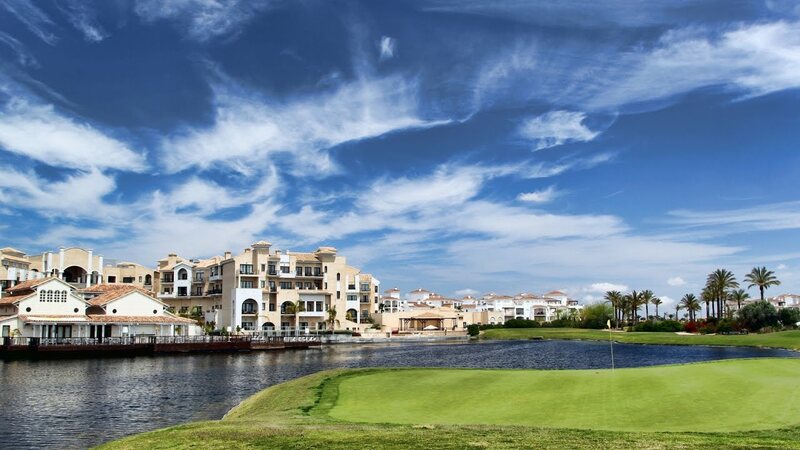 All the many amenities of La Torre Golf Resort including the exquisite Golf Clubhouse, are less than 5 minutes walk away. 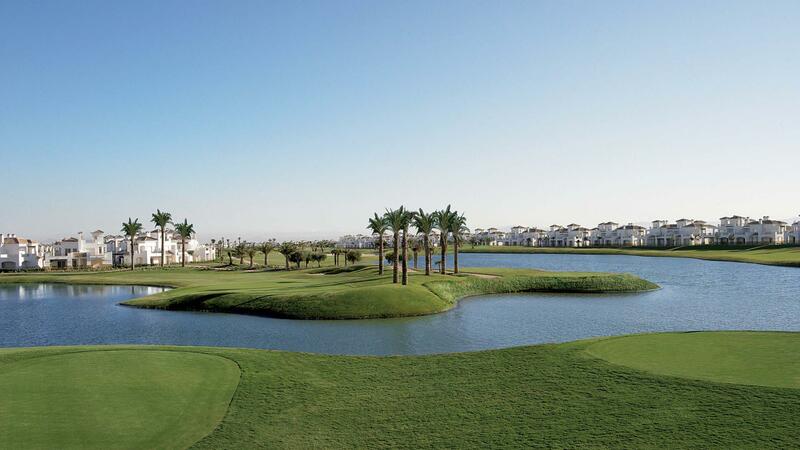 Our apartment in Calle Arenque at Murcia-Golf is situated very near to the 18th hole so not far to walk back with those clubs & also the 1st hole by the Clubhouse, so no need to tire those legs before you even tee off! 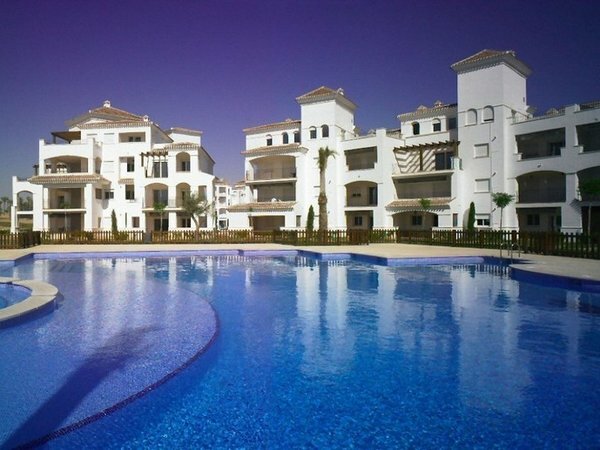 The fully stocked & reasonably priced, large Spar supermarket (open 7 days a week) & extensive La Torre centre with its 2 bars & restaurants are also within an easy 5 minute walk of the apartment. The resort has two manned 24 hour gated security entrances & is within a walled perimeter to ensure your safety during your holiday in Spain & our friendly housekeepers are resident on site to assist with any enquiries during your stay as well as meeting & greeting you with your keys when you arrive at our beautiful vacation rental. 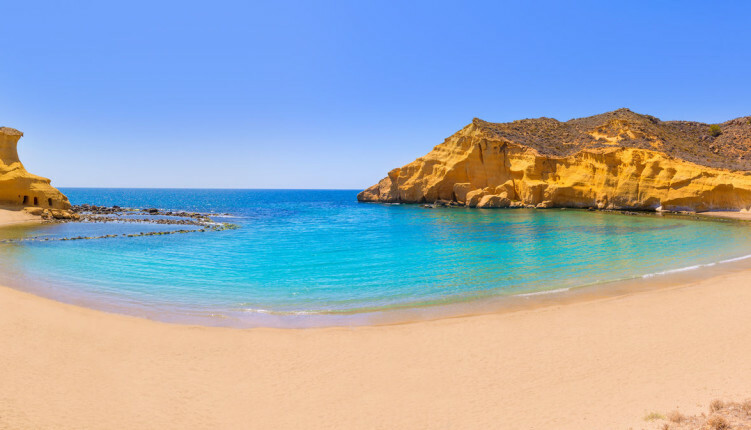 A deposit of £125 Is payable (cheque or bank transfer please) within 3 days of booking as confirmation & this is used as a refundable deposit & returned within 7 days of the end of your holiday, once the apartment has been checked by our housekeepers.